Last week we brought Joel L. Cuello, Ph.D. 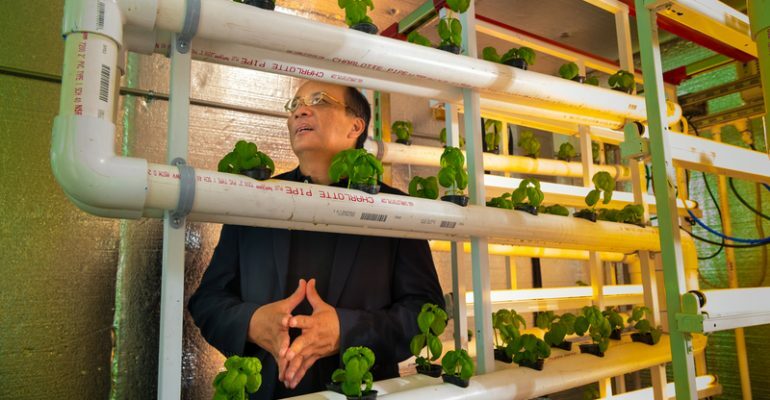 Professor of Biosystems Engineering at the Department of Agricultural and Biosystems Engineering in The University of Arizona to briefly talk about his most recent work in the Vertical Farming industry. Dr. Joel Cuello is a globally recognized expert in the engineering of sustainable biological and agricultural innovations. His technical expertise in both engineering and biology provides the platform for the engineering of agricultural and biological systems with emphasis in optimizing performance while fostering resource sustainability and environmental protection. We hope you will enjoy this conversation as much as we did. Click here to Watch Joel Cuello’s Conversation with the AVFpress Team.